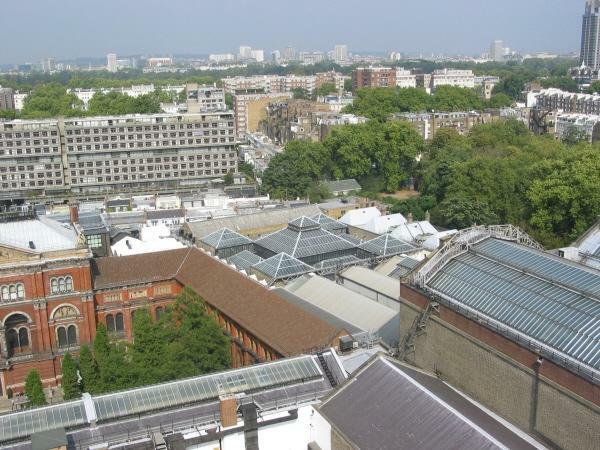 Hurst Peirce + Malcolm LLP were asked by the Victoria & Albert Museum to undertake a survey of all the roofs to their buildings on the main site in Kensington, some 59 different buildings and over 200 individual roofs. Roof types included slate, asphalt, patent glazing, copper, felt, tiles, stone, lead and domes and varied in age from the earliest construction on the site in the mid 19th Century to less than 20 years old. The purpose of the survey was to prepare a long term strategy on all the roofs so that a plan could be developed to maintain or replace the roofs in a logical sequence which would maximize roof life but not allow leaks to become excessive and threaten the exhibits. Under-funding has led to a backlog of work. 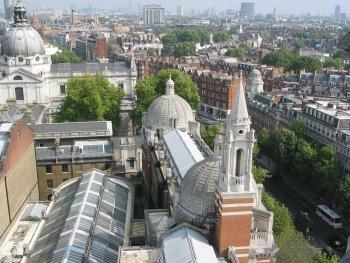 The report was prepared as an interactive computer document where photograph references in the text hyperlinked to the actual photographs and the schedule of roofs, their condition and age could be sorted in any order, for example to show all the roofs requiring replacement in the next ten years. We were commissioned to undertake this work following a structural appraisal of Blythe House, a large 1900s building managed by the Victoria & Albert Museum, the Science Museum and the British Museum.